DeMuth, Mary. 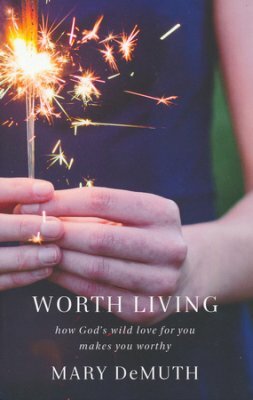 Worth Living: How God’s Wild Love For You Makes You Worthy. Grand Rapids, MI: Baker Books. 2016. Not necessarily connecting with this book yet still realizing the magnitude it could have on some, the purpose and goal of this book is strong. Full of encouraging words, personal stories, Bible references, discussion questions and prayers, Worth Living would be an excellent book for a women’s ministry group, Bible study, personal devotion or a gift for someone struggling. Well written and sure to provide comfort for those needing it most, the emphasis on God’s love is flawless. Vinson, Christina. 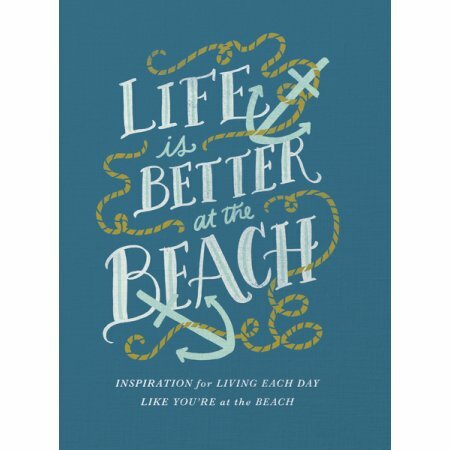 Life is Better at the Beach: Inspiration for Living Each Day Like You’re at the Beach. Nashville, TN: Thomas Nelson. 2016. Ideal for taking along on vacation, nestling up with in the lawn chair, or absorbing on the beach blanket, this book is wonderful. Loving the water as much as my family does as well as our countless time spent at the beach, it will be a permanent fixture in the beach bag. Beautiful as a gift, sharing with friends or personal use, Life is Better at the Beach will make that time even more enjoyable. Between the gorgeous pictures, the sturdiness of the covers and the inspirations found within the chapters, that beach-day feeling will last even longer now, perhaps even through the snowy winter? Firestone, Jo and Fred. 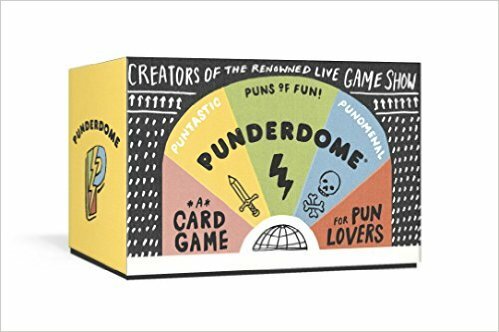 Punderdome: A Card Game for Pun Lovers. New York, USA: Clarkson Potter. 2016. Based on a crazy monthly pun competition in Brooklyn, New York, and hosted by comedian Jo Firestone and her dad, Fred Firestone, this wacky, fun, word-loving, pun-groaning game can now be played at home with family and friends. With at least three players competing individually or as small teams, each player alternates being the prompter with being the pun-er. Sorting through cards with pun prompts, each cleverly thought-out pun is voted on and a winner crowned. With a chance to win the special item in the mystery envelope, Punderdome is sure to delight and create hysteria as well as deep moans. Never having heard of the game before yet being a self-proclaimed word-nerd, I knew I had to try it. Roping family members into playing with me, as the game went along, things just got goofier and more ridiculous. Definitely a game I will take on vacation, to a picnic, or any social get-together, Punderdome has possibilities for fun times. Tweaking the game was easy to fit our style and the mystery envelope prizes can be just as creative. Unique and challenging. Dickerson, Melanie. The Beautiful Pretender: A Medieval Fairy Tale. Nashville, TN: Thomas Nelson. 2016. Every once in a while, a book comes along that I do not want to end; The Beautiful Pretender was one of those savored books. 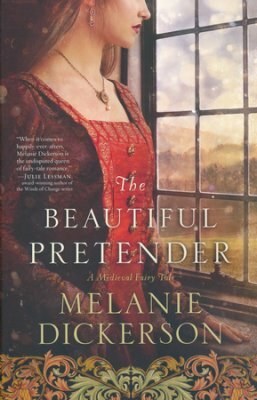 With romance, suspense, and danger combined perfectly with full characters, a medieval setting, a gripping storyline, and excellent writing, author Melanie Dickerson had me from the cover. With a slight salute to Beauty and the Beast, I cannot wait for the next novel in the Medieval Fairy Tale series. Cyd, Leela. 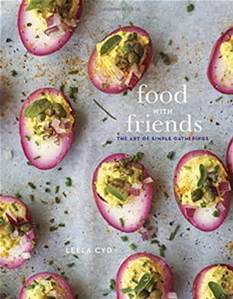 Food With Friends: The Art of Simple Gatherings. New York: USA. Clarkson Potter/ Publishers. 2016. Though many of the full recipes were a bit beyond my time limits due to busyness, I did find several tidbits to try and/ or add to recipes. A few of the included recipes are ones I will definitely add to my weekend menus (Spice-Roasted Chickpeas, Blood Orange and Feta Stacks, Purple Cauliflower Hummus, Chard Empanadas with Pistachio Crema). Perfect as a gift, a planner for a bridal/ baby shower, or a casual gathering of friends, this inventive, creative cookbook is one to impress yet enjoy. 4 (out of 5) pennies. Petersheim, Jolina. The Alliance. Carol Stream, IL: Tyndale House Publishers, Inc. 2016. 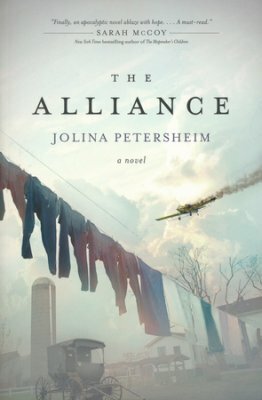 Not waiting patiently for author Jolina Petersheim’s newest book, I must say not only was I surprised but impressed. With an obvious command of the English language, Jolina is able to bring to life those feelings, thoughts, fears and heartbreaks that surround such a non-traditional Amish dystopia novel. Though fiction, this novel also included some knowledge of the subject, but perhaps the most meaningful was the personal connection Jolina has. Realizing control is not enough, she encourages readers through her newest novel, The Alliance, to lean on God for peace, strength and understand rather than ourselves. Never picking a dystopia novel due to the genre itself, I knew I had to read this one from the author as she is truly blessed with words. Already, I look forward to the continuation of the story and many more of her novels to follow (hopefully). Sundin, Sarah. 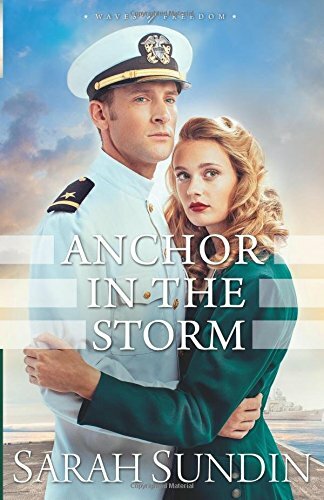 Anchor In The Storm: Waves of Freedom Series- Book 2. Grand Rapids, MI: Revell Publishing. 2016. Set in the darkest days of World War II, Lilian Avery is determined to withstand the pressures, both physical and mental, to gain her independence and succeed as a pharmacist in Boston. With a developing friendship with her brother’s best friend, Ensign Archer Vendenberg, Lilian soon realizes there is more to her role as a pharmacist than previously believed and the same may be true of her friendship with Arch. Can Lilian and Arch work together to solve the mystery surrounding the crew’s strange behavior or will their entangling hearts prevent a successful conclusion? Having read the first book in the Waves of Freedom series, I was ready to catch-up with the characters and watch the relationship grow. Full of history and romance, the two blended perfectly for an engaging read. I am already looking forward to Book 3 in the series, due out in spring 2017. Even more than the actual story, I really liked the correlation between the author’s book dedication and real life. Priceless. Jenkins, Jerry B. The Valley of the Dry Bones. Franklin, TN: Worthy Publishing. 2016. Not necessarily a fan of this genre nor of “The Left Behind” series, I was a bit hesitant to read this story. As a popular author, Jerry Jenkins is known to write engaging books. 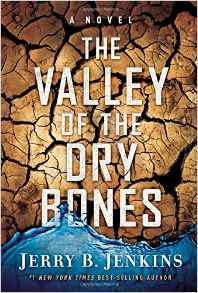 With an interesting premise and a plethora of characters, The Valley of the Dry Bones was well written though not my personal favorite. Sure to appeal to readers of the dystopian-type genre, though it was not necessarily my type of book, it served an interesting plot and gripping possible “what-if” basis. Worth the try. McGruther, Jennifer. Broth & Stock from the Nourished Kitchen. USA: Ten Speed Press. 2016. 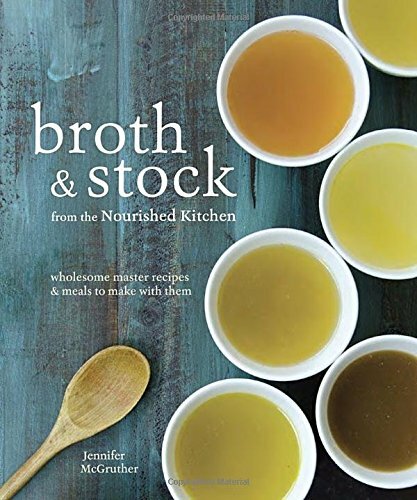 In her newest book, Broth and Stock, food educator and author Jennifer McGruther shares her messages of simplicity, patience, thrift and nourishment associated with broths and stocks. As the basis for soups, stews, and sauces, the importance of broths and stocks serves not only nutritional value but also frugality in not wasting any portions. Explaining the history, process and variety of the different liquids, varying recipes are also included utilizing the various broths and stocks. Though the focus is mainly on soups and stews, the uses for the homemade brews could easily be expanded. With beautiful accompanying photography, the Broth and Stock cookbook will prove to be a vital part in the kitchen. Following the newest trend of bone broths and stocks, I quickly realized this trend is very retro…my mom used to make homemade broths and stocks as did many people years ago. For many assorted reasons for using these juices, this cookbook also includes many healthy options for vegetables, soups, stews, sauces and chowders. Using everyday pantry items with homemade broths only serves to increase the adaptability of the recipes as well as providing a hearty meal. Equally important, I appreciated the messaging on sustainability of the fish from Alaska, something everyone needs to heed for the necessary conservation of the oceans. Clark, Kristen. Baird, Bethany. 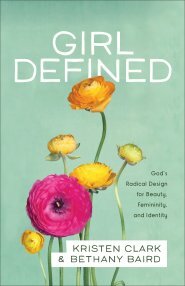 Girl Defined: God’s Radical Design for Beauty, Femininity, and Identity. Grand Rapids, MI: Baker Books. 2016. It is about time! This book should be shared with women of all ages, beginning with the High School age yet the messages could be shared even younger. Not so much a cheerleading book but a more gentle encouragement for women to appreciate, accept and guard their gender while following God, I especially liked the reminder verses found in the margins. “Be the woman who inspires change in others through your obedience to God.” Looking to God for clarification on gender rather than the world for gender expectations can be powerful in the success, health and happiness of women. As speakers, bloggers, mentors and authors, these sisters are right on target. Perfect for a Women’s Ministry, Bible Study, High School Youth Group or perhaps even a sermon topic, Girl Defined is long overdue!